During the last years, much has been said about the great moment of the demand of hotel services in Spain. Season after season and for some time, the figures of hotels have improved and they are much higher that other competitor markets. This improvement is due, among other reasons, to the strategic repositioning carried out by the most ambitious projects, which decided to invest on the improvement of facilities, what resulted in a price rise and a profitability increase. According to the data of the Spanish Confederation of Hotels and Tourist Accommodation, the four large bank institutions in Spain financed over 2,300 million Euros to the hotel sector for refurbishment projects in the last three years. One example of a hotel which decided to extend its facilities is the Oliva Nova Golf Resort. It is a five-star hotel located in the Valencian coast, between the beach and immense orange tree fields which offers a unique environment where you can enjoy one of the most envied facilities in Europe. 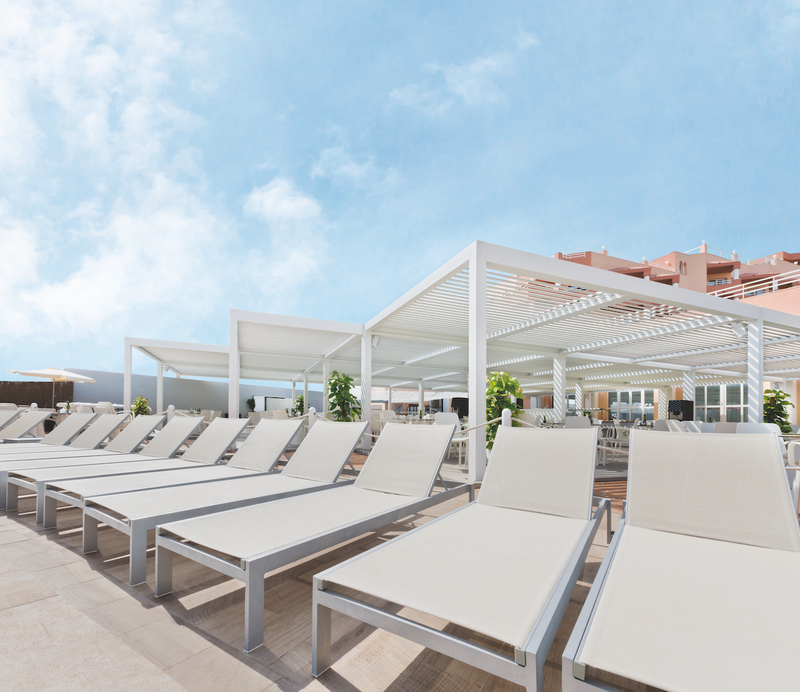 For such extension, the Hotel Management chose the Saxun bioclimatic pergola which allowed it creating a place which makes the difference compared to the multiple hotels in the nearby area. And the thing is that the Bioclimatic Pergolas P-150 and P-190 allow creating spaces where it is possible to regulate the climate conditions so that users are always comfortable. This innovative proposal developed by the firm Giménez Ganga, with mobile blades, motorized control, domotic system capacity and the possibility to add the Wind Screen Grazia or Dante, allows the guests and diners enjoying all the possibilities that an outdoor room offers and, at the same time, being as comfortable as in an indoor room. In addition, the light and subtle lines, the structure designed to foster home intimacy and the great amount of colours and finishing that are available for the user, imply an aesthetic revolution able to adapt to every architectonic style. But achieving a great technical and aesthetical level does not need to be incompatible with stiffness. 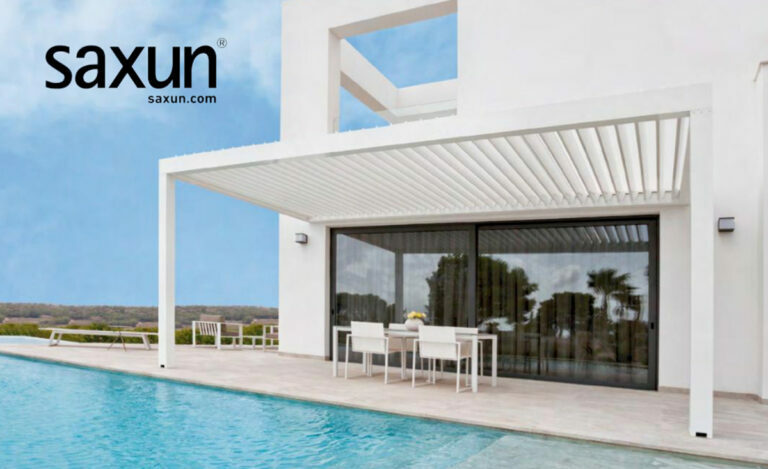 In fact, the extruded aluminium structure of the Saxun bioclimatic pergolas provides the maximum safety against all kinds of climate conditions. This possibility implies a great benefit for the Spanish Mediterranean coast, where there is an international client profile which takes advantage of winters to discover this region far away of the complicated winters in the North of Europe. However, benefits go beyond aesthetics and climate, since the installation of a bioclimatic pergola will help you get higher levels of energy performance and decrease air-conditioning expenses.